In weekend houses, cars and trucks you usually have a voltage of 12 or 24 V DC. 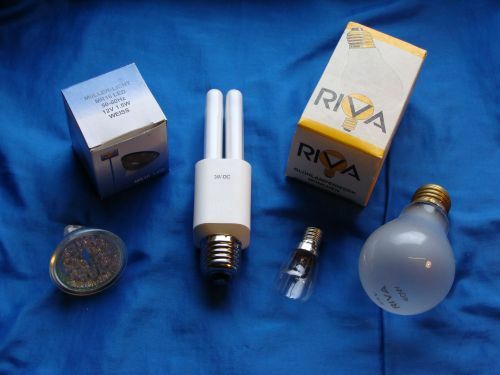 For this purpose, I offer you a widely range of accessories like lightbulbs, fluorescent lamps, plug sockets, plugs and cables. Especially within plug sockets and plugs, there is a lack of robust models in the extra low voltage range. 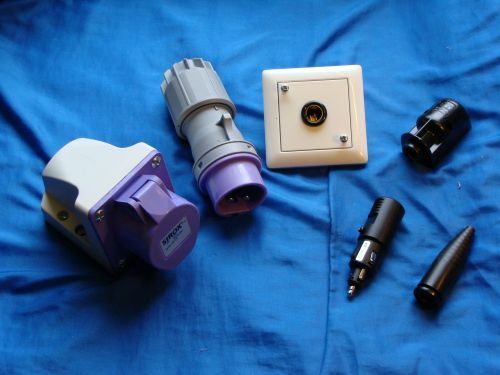 For this purpose, I can present you the CEE industrial plug system for 24 V.
For the living area I can offer you the 12V standard plug, which fits into usual installation systems. You can order a wide range of devices like pumps, refrigerators, TV-sets ... for the extra low voltages 12 and 24V DC. At least, it is advicable to take extra low voltage in the outdoor range, too. You can get it either over a safety transformer from the AC power supply or from a photovoltaic module. In garden ponds, where people can swim, the use of extra low voltage is strictly recommended.